The D2 is a pilot watch designed to be as sophisticated in style as it is in function. 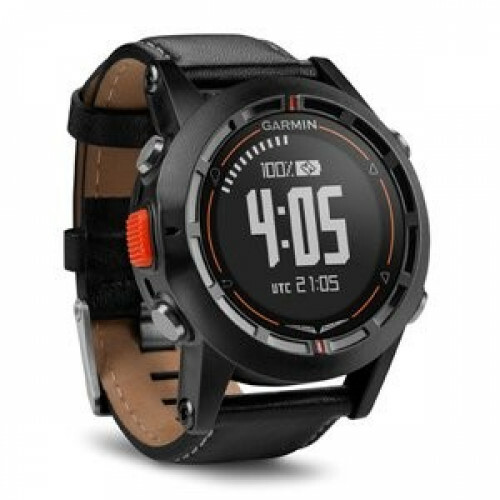 It’s the first pilot watch to help you in-flight, boasting a high-sensitivity WAAS GPS receiver, altimeter with adjustable barometric setting, and also a 3-axis compass. It has a domed lens to make the screen easy to read in direct sunlight, and a brilliant orange backlight for night flights. With D2, you can access the Garmin signature Direct-to and Nearest routing with a simple press of a button. The D2 has a worldwide airport database so you can fly straight to the airport or waypoint of your choice; or you can find the nearest airport if you need to land quickly. You can view your route on a moving map display, or follow the HSI to your destination. By setting your own waypoints, you can also easily navigate to any location not included in the database. You can even create Mark on Target waypoints so you can easily reference locations you fly over. The D2 has customisable displays so you can quickly access the data that's most important to you, including current GPS ground speed, GPS track, distance from waypoints/airports, estimated time enroute, bearing, and glide angle. 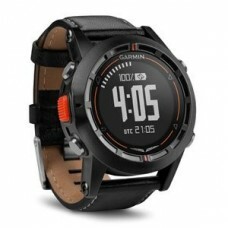 The D2 shows local time and Zulu/UTC time, along with up to 4 different time zones. The stopwatch can be used not only for simple timing but also to remind you of important tasks, like switching fuel tanks. You can conveniently build flight plans and create waypoints with Garmin Pilot on your compatible Bluetooth (BLE) device and easily upload them to the D2. Press a few buttons, and you’ll be able to navigate from waypoint-to-waypoint all the way to your destination! VIRB can capture your flights in stunning HD quality. With a VIRB on your aircraft, you can use the D2 wirelessly to start and stop recording, view elapsed time, or command still shots. The D2 can even control multiple VIRB Elite cameras at the same time, so you can capture the action from multiple angles.